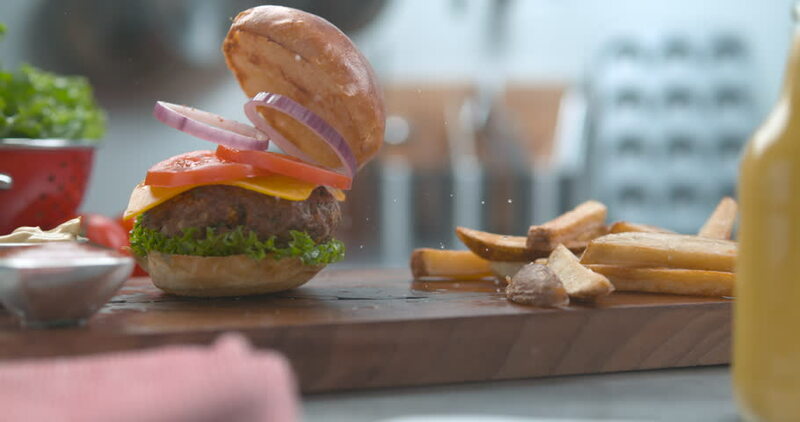 Bouncy hamburger and fries falling onto a wooden board on a table with bright studio lighting. Close up slow motion shot on 4k phantom fles camera. 4k00:38Juicy cheeseburger and fries falling onto a wooden board on a table with bright studio lighting. Close up slow motion shot on 4k phantom fles camera. 4k00:14Fresh organic orange juice. Homemade citrus orange juice in glasses on table.